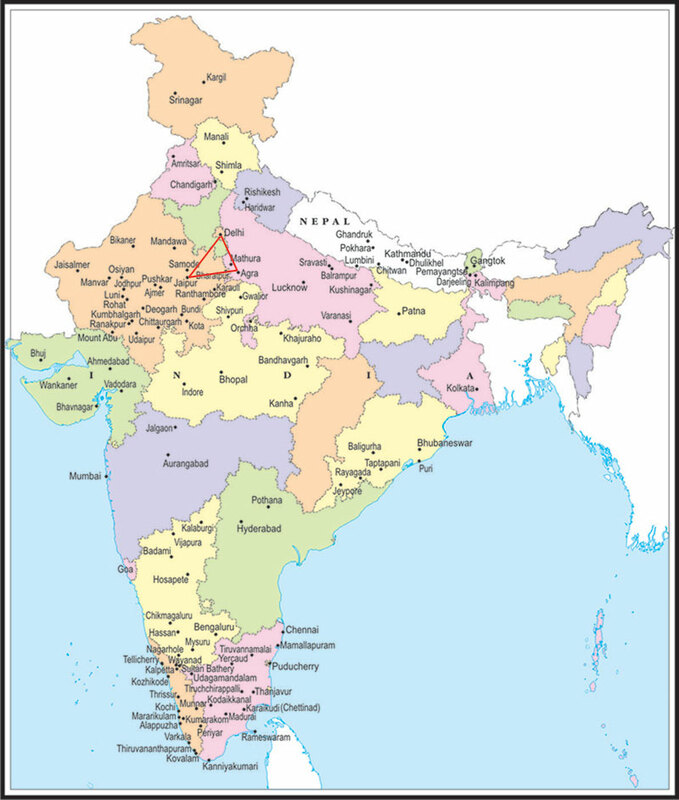 The "Indian Golden Triangle Tours" is a 7 days tour of India. Services International Lufthansa City Center offers you various Golden Triangle Tour in combination of different cities apart from Delhi, Agra and Jaipur. This most popular Golden Triangle Tour Itinerary suites travelers who wish to take a small break. 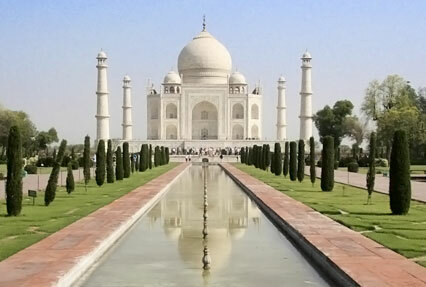 This Golden Triangle Tour Packages of India is good for the first time travelers to India. Afternoon visit Qutub Minar built by Qutub-ud-Din Aibek in 1199, Humayun's Tomb, India Gate (War Memorial Arch ), Lakshminarayan Temple - a modern Hindu Temple. Also drive past President's House, Parliament House, Government Secretariat Buildings & Connaught Place shopping centre. Overnight Delhi. Morning drive to Jaipur. On arrival check in at hotel. Afternoon free. hawa mahal Morning visit Amber Fort. Amber Fort was the ancient capital of the State. Visit the Sheesh Mahal or the Hall of Victory glittering with mirrors. Afternoon tour of Jaipur. Jaipur - The capital of Rajasthan was given a colour coat of pink a century ago in honour of a visiting Prince and ever since, it has retained this colour. Built by Maharaja Jai Singh, the notable astronomer, this city is 260 years old. Visit Maharaja's City Palace, & the Observatory. Drive past Hawa Mahal & through the pink rose residential & business areas. Fatehpur_SikriDrive to Agra visiting Fatehpur Sikri enroute. Fatehpur Sikri is 40 kms from Agra and built by Emperor Akbar in 1569 and abandoned after 15 years due to scarcity of water. See the graceful buildings including the Jama Masjid, Tomb of Salim Chisti, Panch Mahal and other Palaces. tomb itmad ud daullahMorning visit world famous Taj Mahal built by Mughal Emperor Shahjehan in 1630 for his Queen Mumtaz Mahal to enshrine her mortal remains. Later visit the Agra Fort containing the Pearl Mosque, the Halls of Public and Private Audience. Also visit the Tomb of Itmad-ud-Daullah built by Empress Noorjehan in memory of her father.Taj Mahal is closed on Fridays. Afternoon at leisure. Overnight Agra. india gate Drive to Delhi airport in time for return flight. No hotel in Delhi.